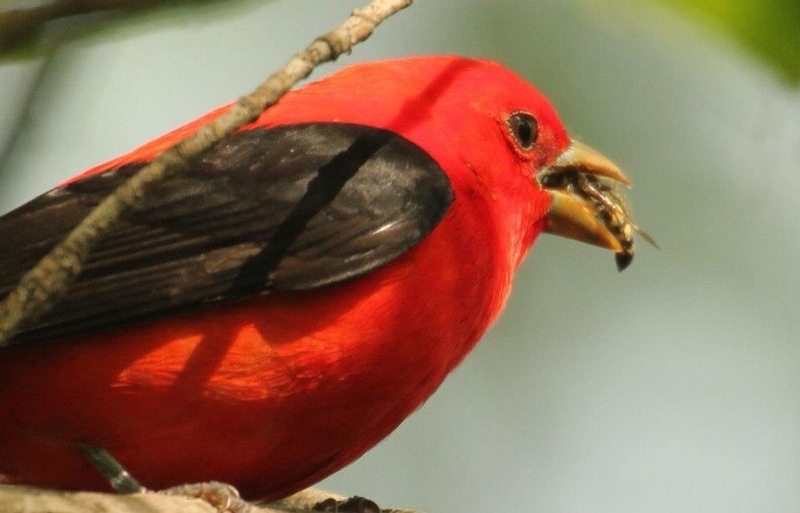 This data is taken from eBird, a Citizen Science project to collect birders’ checklist data from around the world for use by researchers and scientists. Data in this chart was accessed on 3/18/2014 from ebird.org. The data is for all of the month of May [only] and is for all years (1900-2013). The cheat sheet is for Northwest Ohio including the counties of Erie, Ottawa, and Lucas. Even though this chart covers the whole month of May, it can still be used as a guideline for Biggest Week this year which occurs from May 6-15, 2014. Check out the main festival site here: http://www.biggestweekinamericanbirding.com/. The first column is taxonomical sequence. The second column is a difficulty rank based on the highest number of individual birds per checklist for a specific species for May in the Biggest Week area. The lower the difficulty number, the easier the bird is to see (more birds per checklist). Likewise, the higher the difficulty number, the harder that species is to see. The third column is the week in May in which that species peaks–reaches its maximum value for birds per checklist. Column 4 is the species common name. Column 5 is the actual maximum value of birds per checklist that a species achieves in May in the 3-county area. Column 6 is like column 3 but is specific to actual day (as opposed to week of the month). The last column is the average number of checklists submitted during May in the 3-county area to see 1 (one) individual bird. This is calculated by taking the reciprocal of the peak value of abundance (birds per checklist). For example, Ovenbird reaches a peak of 0.480 birds per checklist. So 1 divided by 0.480 equals 2.0833 [checklists to see 1 bird]. But since a fraction remains I add 1 to it to get to 3 checklists to see 1 bird. Got it? Good. 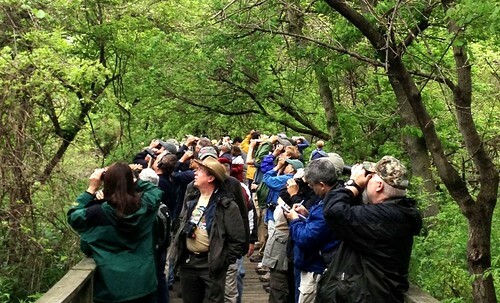 Throngs of birders came to Northwest Ohio to catch a glimpse of the magical spectacle of birds on their epic journey from as far away as South America on their way to their breeding grounds in Canada. Birders here are on the famed boardwalk at Magee Marsh near Oak Harbor, Ohio. 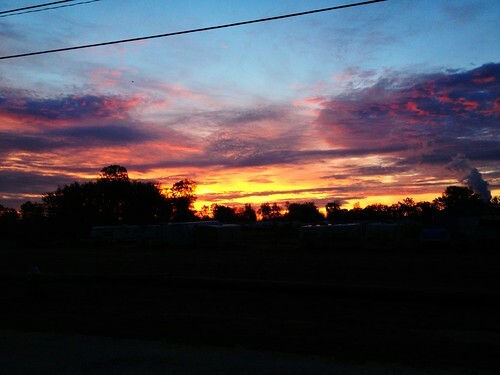 Sunrise this morning in NW Ohio. The very rare Lakeside Daisies are in full bloom on Kelleys Island in NW Ohio. They are delightful to view. Northwest Ohio in May is…for the birds. No really. It is a very birdy place. It has been my favorite place to visit on the North American continent in May for more than 30 years. And I cannot wait to go back there again this May. It is home to one of the most amazing displays of bird migration. There are many migration hot spots in the East. Your home state probably has a few good areas. And maybe you have ticked all 37 species of eastern wood warblers that occur here in Northwest Ohio, seen all the thrushes, tanagers, buntings, and orioles (and many, many more species). So why visit Biggest Week? Aren't there huge crowds of people? Isn't it hard to find lodging and places to eat? Can't I see all those birds somewhere else? Even if you have all these birds, you should visit this area of Northwest Ohio at least once in your life and experience it for yourself. Yes. There are huge crowds. But with a little planning and patience, your experience should still be unforgettable–even if you don't enjoy big crowds. For lodging and food you should also plan ahead or you will find yourself 30 minutes (or more) away from the comforts and conveniences “civilization”. Aaack! I’m not keeping up with this very well. Sorry for the long delay in posting. My recent trips to Chicago for Birding America and the Big Year events in Grand Island, Nebraska went really well! These trips were super enjoyable to me. I only hope everyone else had as much of a good time as I did. Now I’m trying to cram in my regular day job work as a computer consultant (haha, did you expect something different?) before I run away and do more birding/speaking/guiding again. Did someone say running off? Yes. Yes, they did. Where will I be in late April and May? Oooh. Good question. How about this? I am totally thrilled and so looking forward to being a part of all of this!!! Gotta run off now to my day job (which I don’t hate like the movie, The Big Year, says). It’s gonna start soon. It happens every year. Spring! Warblers will be everywhere again decorating the trees like Christmas ornaments and filling the area with a cacophony of glorious song! I can’t wait. It’s my favorite time of year! 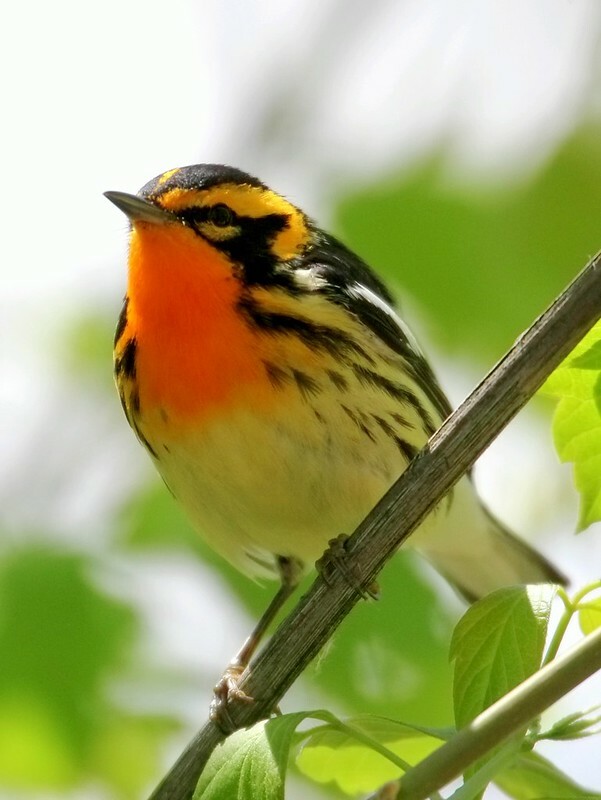 Ohio is home to an extraordinary warbler experience. Some of the best opportunities to be amazed by the event we call migration can be found right here in Ohio. People from around the world will come to visit Ohio. The best time to come? May. If you only have a short time to visit, why not base your visit around the events of Biggest Week in American Birding? Yes, there will be lots of people. And for good reason–they are here for the birds. 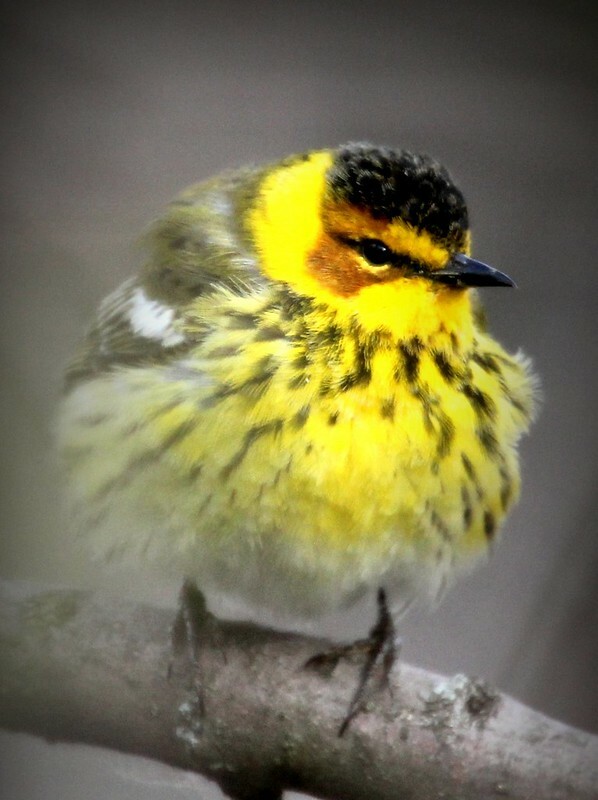 My favorite family of birds, the wood warblers, will be here in full force. 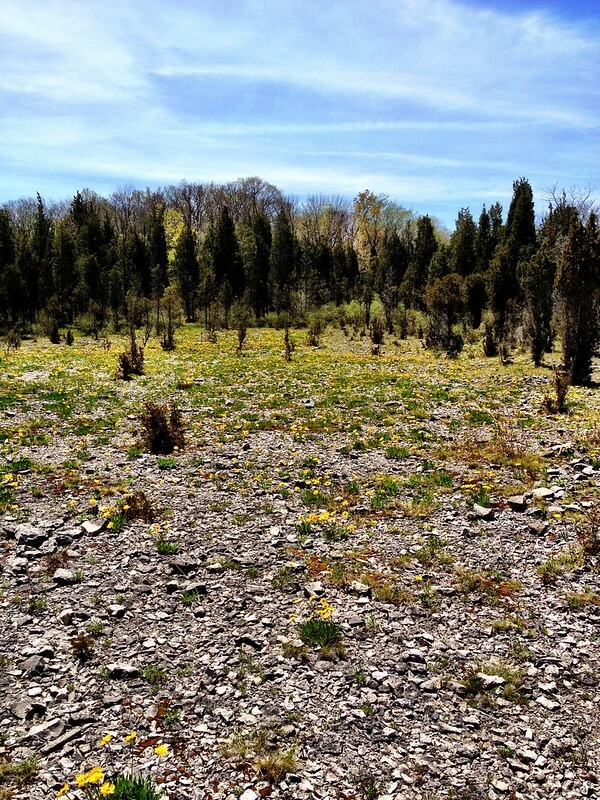 How many species of warblers can you see? Well, technically 36 species occur regularly in Northwest Ohio at places including Magee Marsh, Crane Creek, Ottawa NWR, Maumee Bay State Park, and Oak Openings. I usually count a good week as about 28 species of warblers. Some of the southern species are harder to find here. But, this year I am leading a road trip to Southern Ohio in Scioto and Adams Counties. 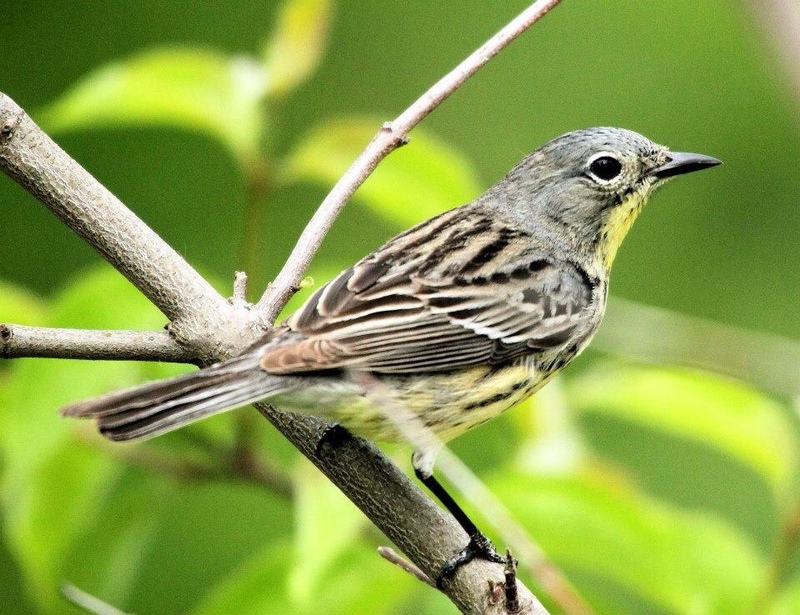 We’ll have a chance to see 9 species of warblers that are easier to find on their nesting grounds in the forests near the Ohio River than as rare over-shots in Northwestern Ohio. Some of you may come away with nearly all the wood warblers found in Eastern North America. I’ve included some charts here on my website of relative distribution for 37 species of warblers. Check out the tab under Ohio Warblers in Spring. Time to learn some songs, brush up on plumages, and read up on warbler habits. Warbler Mayhem will soon be upon us!